Nefertiri Trader and her mother, Denise Trader, share a birthday, but Nefertiri won’t be there to celebrate. The mother-of-three was reported missing June 30, 2014. There were few clues in the investigation, and she has not yet been found. “I’m not going to let this go as a cold case,” Denise Trader said. Nefertiri, lovingly referred to as “Neffie,” went missing at 4 a.m. on June 30, but her family was not informed until 9 p.m. that night. Early reports suggested a neighbor saw her being forced into her silver 2000 Acura. Her mother holds out hope that Neffie is still alive, but being held against her will. The family relishes in the positive notion that their beloved daughter, sister, mother and friend is still alive. Denise lifts a shaky finger and wipes a tear from her eye before pointing into the corner of her living room, just inches from her television. A picture of Neffie from her prom is rested on a table next to a small, heart-shaped frame with a baby picture. Family usually gathers at Denise’s home to celebrate the mother-daughter dual birthday with dinner and a night on the town. 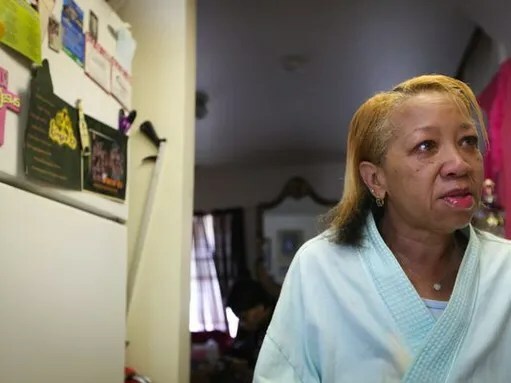 On February 21, Neffie turned 34 and Denise turned 58, but without Neffie there, Denise said she couldn’t bring herself to attempt their usual routine. New Castle County started offering $10,000 rewards to anyone with information about unsolved cases in February. Denise received a personal call from detectives to tell her, and she’s more hopeful than before. “Even if it’s just $10,000, at least it’s something,” she said. With Neffie gone, Denise takes over as a baby-sitter and caregiver to Neffie’s children. “They remind me so much of her, it’s hard,” she said. But, Denise stays strong by taking care of the children and knowing their mother is still out there, waiting to be saved. Detectives stay in contact with the family, Officer Tom Jackson of New Castle County Police said. 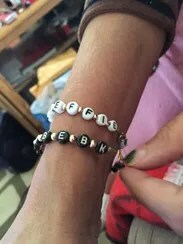 To cope with life without her daughter, Denise started selling bracelets – a hobby Neffie introduced to her. 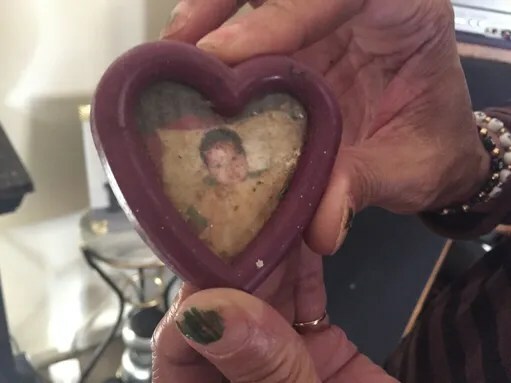 The black and gold bracelets read “Keep the faith for Neffie.” She hopes to add the proceeds of the $10 jewelry sales to the reward out for her daughter’s return. After the young mother’s disappearance, police quickly deemed it “suspicious.” Traceable evidence disappeared with her; Phone records and credit card bills froze. It seemed like she went “off the grid,” leaving investigators at a stand-still. The only traces of the incident were a crushed loaf of bread, cigarette butts and an unopened condom. Her shoes were rested near her front door. A neighbor, Joe Robinson, said he witnessed the abduction, but didn’t call the police. New Castle County started offering a reward for unsolved cases – Neffie’s case included. New Castle County Executive Thomas P. Gordon announced the offer: $10,000 for information that would lead to the conviction of a responsible person involved in unsolved cases. The announcement from New Castle Police included sentiments towards grieving families and dedication to ending their suffering, solving their cases. Denise said she harped on the worst outcomes before she let herself see the potential for resolution. Being a spiritual woman, she found solace in God. She said her “mother’s instinct” tells her Neffie is there, Neffie is alive and Neffie will come home. 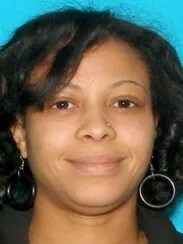 Nefertiri Trader was last seen Monday, June 30, 2014 at 4 a.m. She is described as a black female, standing 5-feet-6-inches, weighing roughly 124 pounds. She has brown hair and brown eyes and was last seen leaving her neighborhood in her silver 2000 Acura RL with Delaware registration 404893. Police are offering a $10,000 reward for information leading to a conviction in this unsolved case. Police are asking that if you can provide any details pertaining to this investigation to please contact Detective DeSabatino of the New Castle County Criminal Investigations Unit at MEDiSabatino@nccde.org or by calling (302) 395-8110.